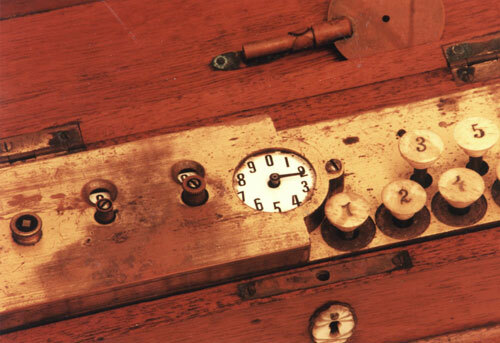 On 23 April, 1873, Ferdinand Hebentanz, a watchmaker from Budapest, obtained an patent (Privileg) in Austria-Hungary for adding machines. In the patent are described several different devices: keyboard adding machine without engine, keyboard adding machine with engine (spring motor), and pointer (pen-setting) adding machine or totaliser. In October of the same year the adding machine of Hebentanz received an award at Weltausstellung 1873 Wien (World Exposition 1873 in Vienna). 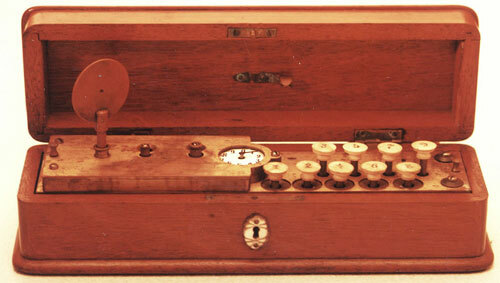 The second machine, known also as Bieringer und Hebentanz Tastertur Aditions Maschiene is a keyboard adding machine with clock mechanism drive. It seems several devices had been manufactured and one of them managed to survive to our time (see the lower images).